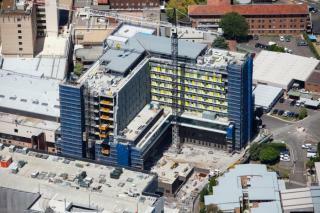 Radcrete’s long term Sydney distributor/applicator and technical advisor, Mr John Harris oversaw the application of Radmyx on the Sydney Adventist Hospital’s recent redevelopment. Radmyx has a higher 'active ingredient' content than other similar products, resulting in watertight concrete and a leak-fee project. It is due to this and the depth of experience of our applicators that Radmyx has an unblemished reputation. Radcrete are proud to be part of this important icon in the health of Sydney’s Upper North Shore and Hills District.